Our route starts at Otagi Nenbutsu-ji, a unique temple with hundreds of sculptured stone Buddhas, which we access by a short taxi ride from Arashiyama Station. Then we walk gradually downhill via several quiet temples with beautiful gardens and bamboo forests. 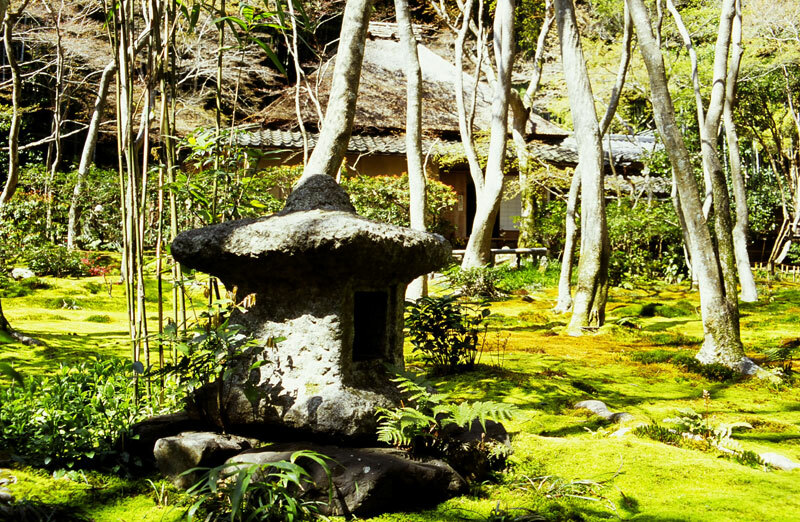 Along the way, you’ll also pass a poet’s hut where Basho penned a famous haiku and visit Okochi-Sanso Villa, one of the most superb houses and gardens in all of Kyoto. Then, we walk through the Bamboo Forest and return back to Arashiyama Station via Tenryu-ji Zen Temple garden. Time permitting, we finish with a brief stroll along the banks of the Hozu-gawa River. This walk takes around four hours and can be done by anyone in moderately good physical condition. The walk costs ¥30,000 per group (NOT per person) plus expenses that average about ¥2,300 per person (entry fees, snacks etc). You can extend this walk to create a six-hour tour (¥36,000 per group). For the six-hour option, you can add a visit to one of the major sights in northwest Kyoto: Kinkaku-ji (the Golden Pavilion) or Ryoan-ji (home of Japan’s most famous Zen garden). If you’d like to do an eight-hour tour (¥44,000 per group), you can combine this walk with both of these famous northwest Kyoto sights. To book a walk, contact us.